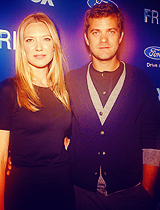 ANNA&JOSHUA♥. . Wallpaper and background images in the Anna Torv and Joshua Jackson club tagged: anna torv joshua jackson various ♥.